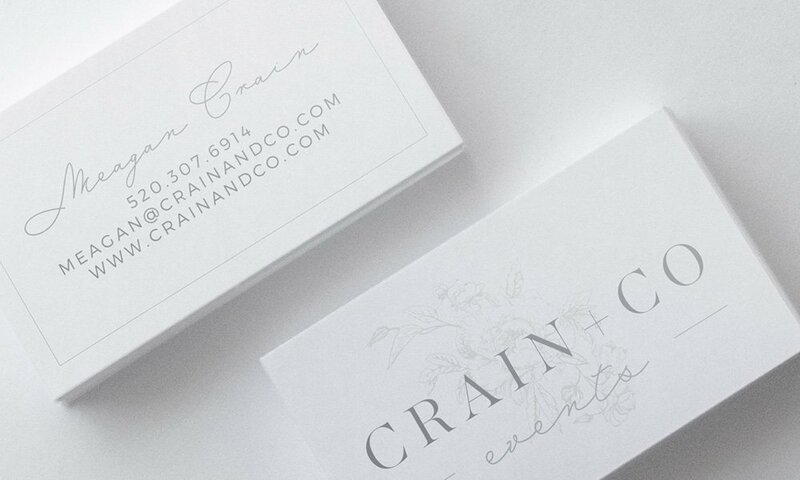 Meagan Crain is an events planner and designer in Arizona with the most amazing eye for detail. 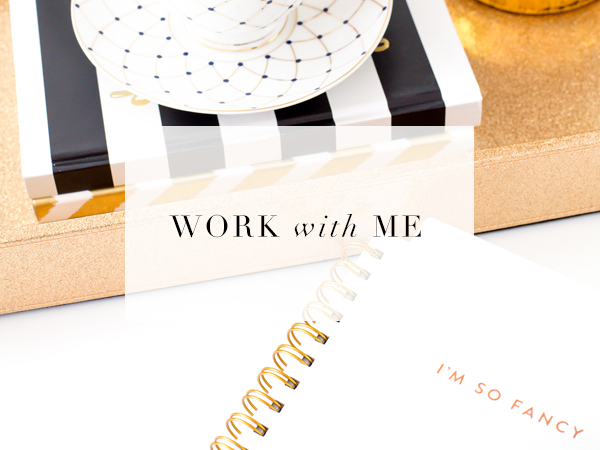 She hired the fabulous duo (that would be me and Ginny), to help her with her rebranding. 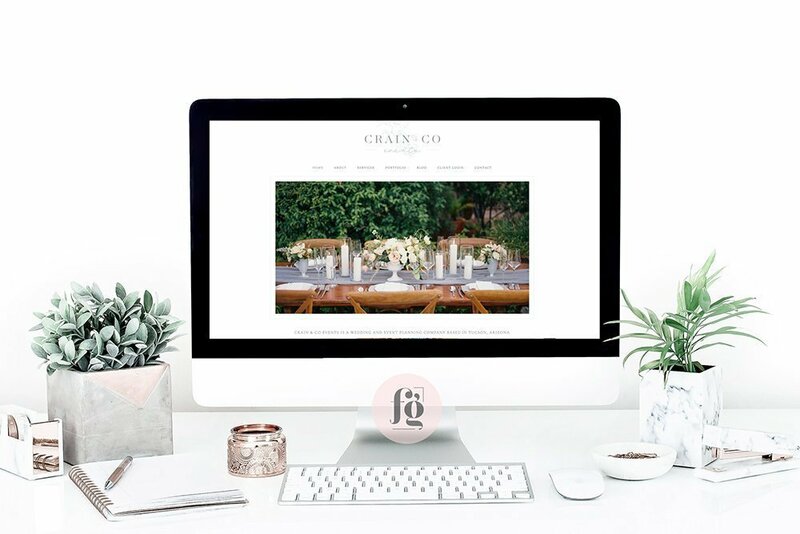 Meagan specializes in timeless designs and carefully curated weddings and events, and she wanted her brand identity to reflect that. 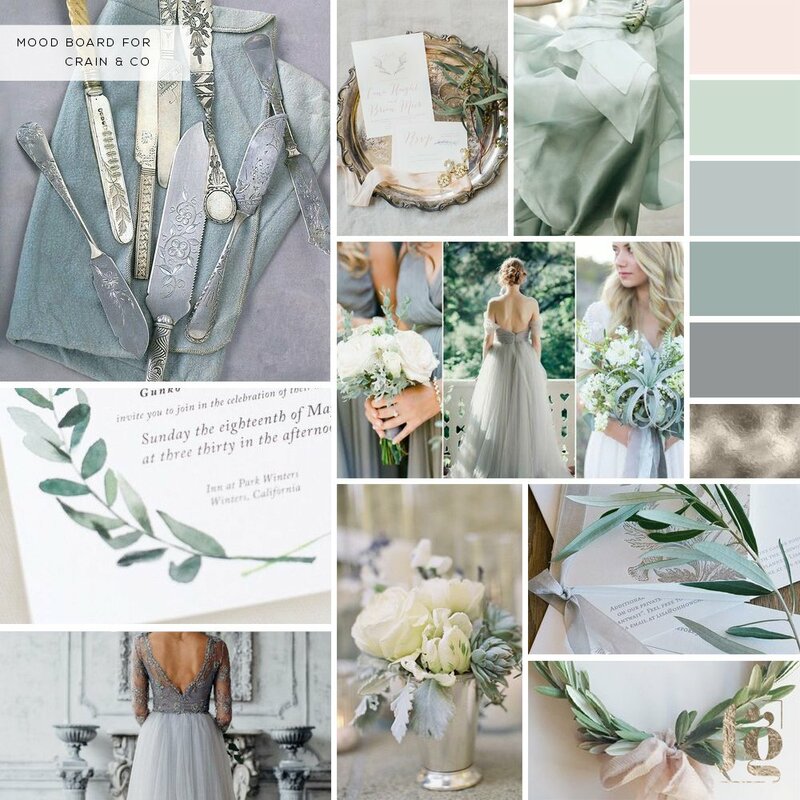 Her moodboard, curated from her Pinterest board that Ginny helped her create, was full of soft hues of blue, grey, and green, and has a very classic, romantic look. I was in love! We saw Meagan’s eye for detail as we worked on her logo design. 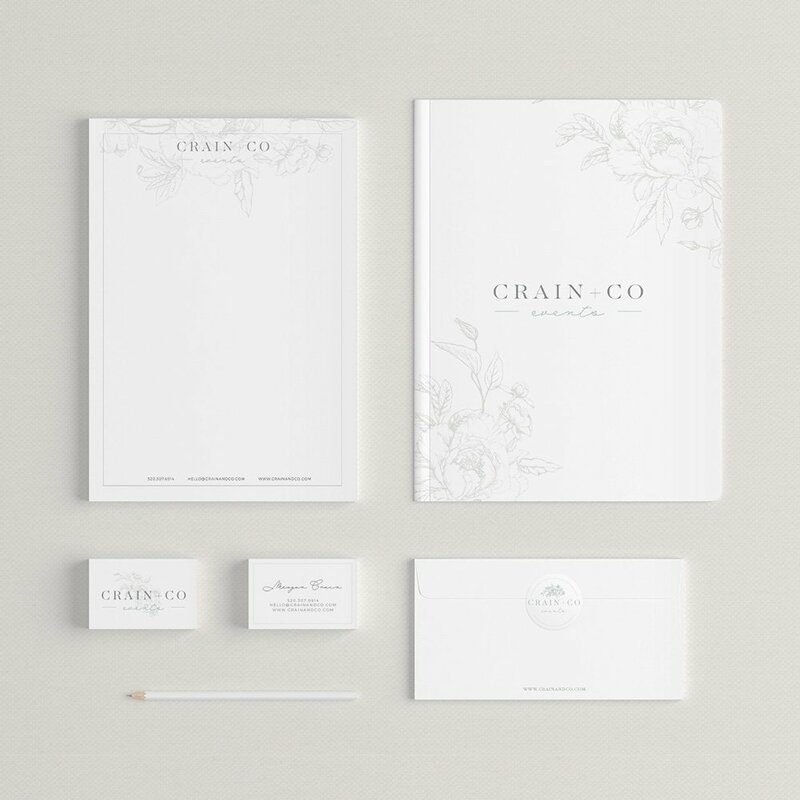 She wanted something timeless and romantic, and had a pretty good idea about the typography that she wanted. 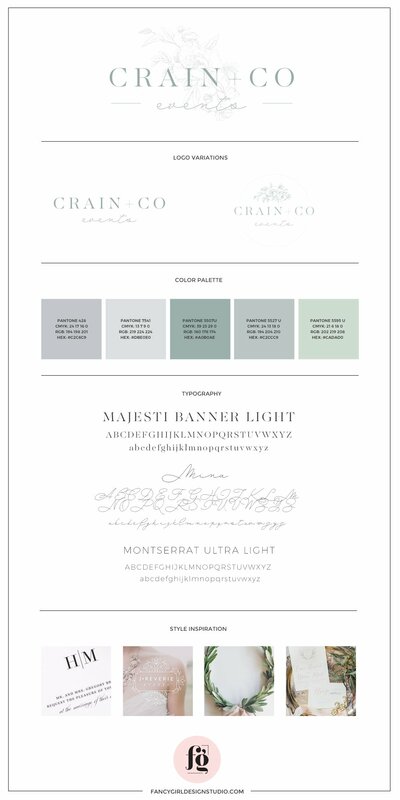 Here is her brand guide showing the different logo variations that she approved. 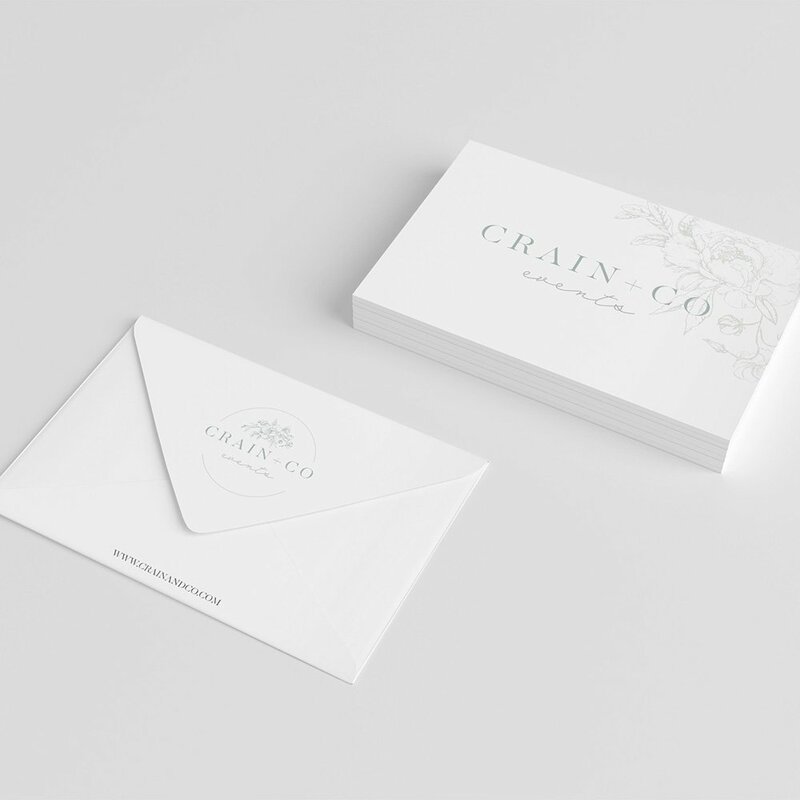 I designed a custom floral illustration for her, and we used it in the logo and stationery suite. 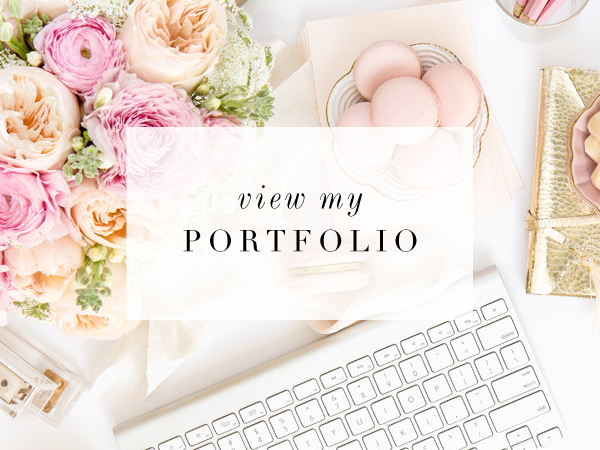 We carried over the same look and feel to her website. 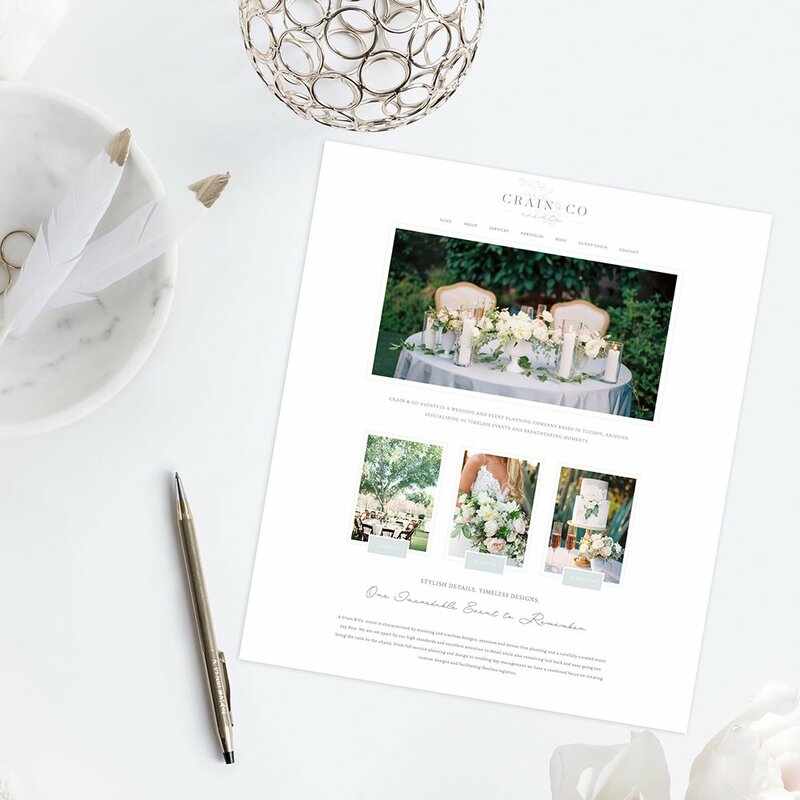 Meagan was sure that she didn’t want a bold, edge to edge design, but rather a very classic, elegant layout, with lots of stylish details, and generous amounts of white space. It was easy to create this look for her, because all her images were absolutely breathtaking, and on brand. I realize I probably say this one too many times, but the best way to get an amazing website is to have amazing content in the first place. Meagan was a dream client in that respect. 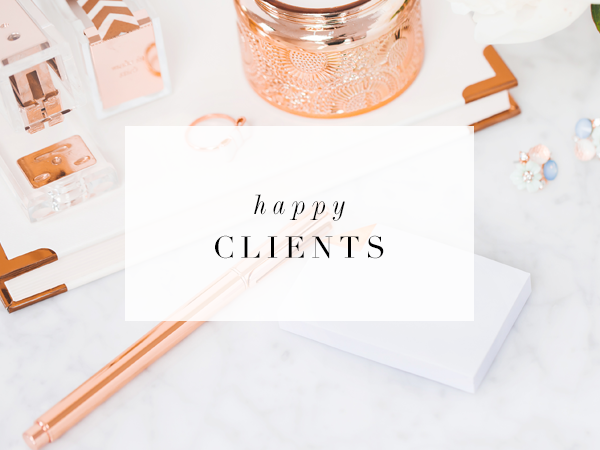 In the end, my rebranding gave my business a facelift and a self-confidence boost, but most importantly, it has given me new direction as to what I want for myself, my business and my clients. You can read more about it in her blog post, here.